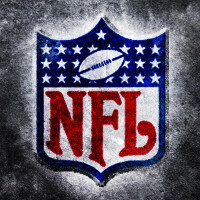 Even though the baseball season has just started, the NFL announced today that Twitter will be the new digital home for Thursday Night Football starting this fall. Other companies offered the package included Yahoo, Amazon and Verizon. Big Red is in the last year of a multi-year contract with the NFL that pays the league $250 million a year. NFL commissioner Roger Goodell made the announcement of the deal by sending out a tweet this morning. The games will be free and viewers won't have to register with Twitter to view them. And no, Twitter will not limit the streaming feed to 140 snaps. The deal does include the dissemination of in-game highlights, and Periscope broadcasts before the game featuring interviews with players. Twitter users will be able to watch the action on their smartphone or tablet, and tweet out comments about the game at the same time without needing another screen to do so. The NFL sold the broadcast rights to the same Thursday games to NBC and CBS for $225 million. Each network gets five games to televise, with all ten contests simulcast on cable via the NFL Network.